Covenant Relationships: What Should I Look For When Choosing A New Church? What Should I Look For When Choosing A New Church? We've all heard that the choice and purchase of a home is one of the most significant decisions a person will ever make. In this temporal world that may be true. However, choosing where you and your children will learn the things of God and serve the Lord Jesus Christ has eternal ramifications. What are the biblical criteria you need to be aware of when considering a new church? Let's compare the search for a new church to that of a new home. When looking for a house, people typically ask, How much does it cost? Is it large enough to meet our family's needs? How well is it built? What kind of neighborhood is it in? Does it have a warm and homey atmosphere? Is it conducive to hospitality? Similarly, before choosing a church home you need to consider its foundation, structure, function, andenvironment. Before we consider those important components, please realize that no church is going to be perfect. Some local churches may be in seemingly excellent condition, while others are obvious fixer-uppers! Many fall omewhere in between. 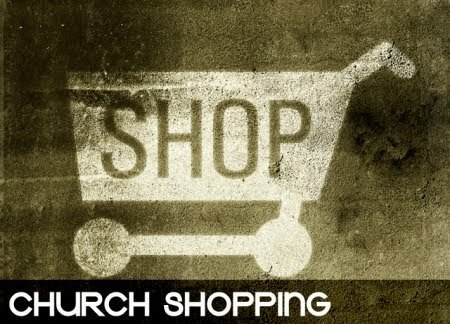 You must seek God's will and be led by the Holy Spirit in selecting a church. Also you need to evaluate how you and your family can contribute to that ministry so it is not just another church, but truly a church home. A Proper View of Scripture. When investigating a potential church home, pay particular attention to how it views the Bible. Does it hold to the inspiration and inerrancy of the Scriptures? Does it believe the Bible is the only rule for faith and practice (2 Tim. 3:16; 2 Pet. 1:20-21)? An Emphasis on Bible Teaching and Preaching. Observe what kind of preaching is done. Is it primarily expository, topical, or evangelistic in nature? Is the main diet repetitive salvation messages each week, or are believers being fed from the Word (Acts 20:27; 1 Tim. 4:13-16; 2 Tim. 4:1-5)? There should be a strong commitment to high-quality Bible teaching. Doctrinal Soundness. Just as you would inspect the soundness of a house's foundation, so you should investigate the doctrinal stance of the churches you visit. Where do they stand on such crucial issues of the Christian faith as the virgin birth and deity of Jesus Christ; the depravity of mankind; the work of Christ on the cross; His death, burial, and bodily resurrection; salvation by grace through faith alone; the second coming of Christ; and the ordinances of baptism and Communion? Doctrinal Practice. Observe whether the church practices the doctrines it claims to believe and teach. As James said to the church at large, "Prove yourselves doers of the word, and not merely hearers who delude themselves" (James 1:22; cf. Luke 6:46; John 13:17). Once you are satisfied with the foundational aspects of the church, you need to look at its structural components. Recently I walked through a new house under construction. I noticed posts that weren't plumb, seams that didn't meet properly, and beams that were crooked and uneven. Those were glaring structural defects in a home advertised as being built by "the last of the true craftsmen"! Church Government. Find out if the church's leaders function according to New Testament principles (1 Tim. 3:1-13; 5:17-20; Titus 1:4-9; Heb. 13:7, 17). Do they understand the centrality of Christ as head of the church and His desire to rule His church through a plurality of godly men (Eph. 1:22; 4:15; 5:23; Col.1:18; 1 Cor. 11:3)? Evidence of Order. The church's ministry, including its services, teaching, and administration, should have an obvious sense of order. Some church services exhibit as much lack of planning as do homes with poorly thought-out floor plans. Some churches handle the Lord's resources and work in such a haphazard way that they bring shame to the name of Christ. As Paul said in speaking of the church, "Let all things be done properly and in an orderly manner" (1 Cor. 14:40). Functional Goals and Objectives. As you investigate a new church, find out if the leadership has set any goals. Has the church planned for future progress and direction? Does it have in mind particular methods of reaching those goals? Like Paul, we as a church need "to run in such a way, as not without aim" (1 Cor. 9:26). The Size. When purchasing a home, some people prefer the warmth and quaintness of a small home in a quiet rural setting. Others prefer living in a larger structure in an urban area. The same is true when considering the size of a church. Some Christians love being involved in a large urban ministry with hundreds or even thousands of people. Others feel lost in the vastness of such a ministry and fare much better in a smaller congregation. Again, finding your niche in the Body of Christ requires the leading of the Holy Spirit in your life. When satisfied that the foundation and structure are what they should be, the wise home buyer will then look at how functional the house is. Does it fulfill the purpose for which it was designed? Does it meet the needs of the family? As you observe how a church functions, look for an emphasis on worshipping God. See if the leadership stresses the importance of honoring and glorifying God in all things (1 Cor. 10:31; Col.3:17). Also observe the involvement of the individual members. Do they exercise their spiritual gifts among the Body of Christ (Rom. 12:3-8; Eph. 4:11-13; 1 Pet. 4:10-11), or do they seem to expect the pastor to do everything? Does the church emphasize evangelism as one of its primary functions? Are home and foreign missions an important part of its ministry (Matt. 28:19-20; Mark 16:15; Acts 1:8)? What about discipleship? Do you see church members and leaders seeking to make disciples and reproduce themselves in the lives of others (2 Tim. 2:2; Titus 2:3-7; Matt. 28:19-20)? A strong local church is marked by love. Do the members seem to genuinely care for one another? Do they minister to each other's needs? As you become acquainted with the church, do you sense that the members are loving one another as Christ commanded (John 13:34-35)? Notice if friendships form easily (cf. Heb. 10:24-25;Phil. 2:1-4; Eph. 4:1-3). The leadership of the church you choose should be committed to teaching and supporting God's design for the family (Eph. 5:22--6:4; Col. 3:18-21; Titus 2:1-8; 1 Pet. 3:1-7). Does the church schedule contribute to or take away from the strength of the family? If you have ever gone house hunting, you know what it's like to walk through and sense the atmosphere of the place. It can feel cold and gloomy or warm and inviting. It can have a homey feel or it can be impersonal--almost like a museum. Doubtless you have had the same experience when attending various churches. Certain observable factors contribute to the overall atmosphere of a local church. Those environmental components are usually manifested in attitudes. A High View of God. Proverbs 9:10 says, "The fear of the Lord is the beginning of wisdom." It should be obvious that the people, from the leadership down, focus on the glory and majesty of God. Do they take God seriously and exalt Him in all they do? Their view of God will affect every aspect of their lives and ministry. Ask yourself if God is the focus of their worship or if they're preoccupied with each other or themselves. The Presence of a Sincere Faith. Is it obvious to you that the church lives and operates by faith? Are the people willing to trust God (Heb. 11:1, 6; Eph. 3:20; 2 Cor. 5:7; 1 Thess. 5:24)? Spirit of Sacrifice. Can you see that the church members are willing to sacrifice themselves and their possessions to advance God's kingdom (Rom. 12:1; 2 Cor. 8:3; Matt. 6:33)? Do you sense they would sacrifice themselves for one another (Phil. 2:3-4; John 15:13; Eph. 5:1-2)? Proper Attitudes Toward the Pastor and Other Leaders. As you talk with the people, be sensitive to how they regard their leaders. Do they appreciate and esteem the pastor and other leaders "very highly in love because of their work" (1 Thess. 5:13)? Are they fully behind them, giving their spiritual, emotional, and material support (1 Tim. 5:17-18; Heb. 13:7, 17)? Spirit of Unity. This is often the most obvious attitude radiating from a local congregation. An outsider is usually able to sense very quickly whether a church is unified in its ministry. That has a great effect on its testimony to the community and reflects on the name of our Lord (John 13:34-35; 1 Cor. 1:10-17; 3:1-9; Eph. 4:1-6; Phil. 2:1-5; 4:1-5). Am I Right For This Church? We have looked at the foundational, structural, functional, and environmental components of a vital, healthy local church. Now look at yourself and ask, Are there opportunities here for me to serve and exercise my spiritual gifts? Does this local body have a need that by God's enabling I can meet? Am I willing to get what the church can do for me, but also what I can do for the Lord as I serve Him in this church? 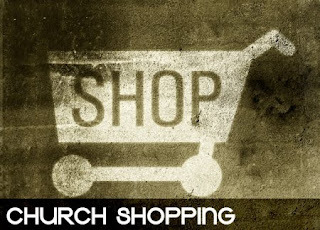 Am I willing to give of my time, money, energy, and prayers to contribute to the success of this church (Mark 12:30; Rom. 12:1)? A house is not a home until all the members of a family contribute to its success. The same is true of a church home. Only when each member in the family of God exercises his or her God-given gifts will God's children feel at home in His church. The decision you make about what church to attend will greatly affect your spiritual life and the lives of your children. In fact, the decisions you make now will affect your descendants and the generations to come. That's a sobering reality. Remember that no church will ever perfectly fulfill all these criteria. There is no perfect church. Also, remember that every church is going to have its own special blend of the characteristics we have examined. The key is to find a church that has them in proper balance, not overemphasizing some or de-emphasizing others. A balanced ministry is a Spirit-controlled ministry. If you find a church that possesses most but not all of the characteristics we've mentioned, don't immediately disregard it. Consider whether God wants to use you to help improve that local body as you exercise your own particular spiritual gifts. Choosing a church home is one of the most significant decisions you will ever make--one that reaches into eternity. May each of us spend at least as much time and effort making that decision as we do deciding on our earthly dwelling. Taken from the July/August 1990 issue of Masterpiece Magazine.